In the aftermath of the competition, a winner is finally selected. However, the audience intervenes and the winner makes an impacting decision. As HEAVENS and STARISH are forced into duets, QUARTET NIGHT must face their own worst enemies, themselves. As the first to do his duet, Tokiya realizes Eiji's talent. Worried that STARISH's talent isn't enough, he crafts a plan for the team to take their competition more seriously. 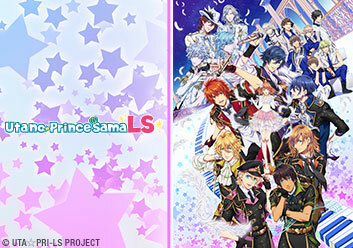 Yamato and Syo try to work together, but they must first overcome their rivalry if they want to succeed in their duo. It's Cecil's turn to duet with cold and distant Shion, but his efforts to be friendly fail. Worse, the problem escalates into a confrontation between STARISH and HEAVENS. Van isn't what Ren expected, leading to some friction between the two. As things start to heat up, both of them agree to a challenge. Natsuki and Mikado start things on a bad foot, and, to make things matter worse, Satsuki makes an appearance, throwing the duet into more chaos. The quiet ones of the group are up, Hijirikawa and Kira. Some tension grows as Hijirikawa is put in a difficult position. Two polar opposites collide in the next duo! They must learn to work together quickly if they want their duet to be a success. Ootya is still reeling from his duet and disappears. Eiichi inadvertently opened some long-hidden wounds in Ootya's heart. Episode 11: Future, Dreams, Thank You... and! Otoya has recovered from his trauma. Meanwhile, Raging Otori is disgruntled with HEAVENS for their desire to have a fair fight. The duets are over, and now all three groups are ready to give it their all in one final showdown! Meanwhile, HEAVENS has some complications. Episode 13: WE ARE STARISH!! STARISH is up next and the tension is thick. Who will come out victorious in this action-packed showdown?